To grow and become the primary focus for multi-faith and interfaith and interfaith activities. 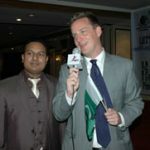 To do all sorts of interfaith activities through the steadily increasing number of local interfaith activities occurring throughout Pakistan and abroad. To encourage members of all religious to meet together on a regular basis in order to foster friendly relationships, deepen each other’s understanding of different faiths and promote community harmony and goodwill. The actively seeks to advance religious freedom within a society free from racial and religious prejudice, hatred and discrimination. To commitments specifically for the oneness of humanity, the value of religion and spirituality, respect for cultural and spiritual diversity and fostering mutual understanding. 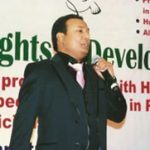 To provide a forum which promotes the principles of equal rights and opportunities for members of all religious groups without prejudice or discrimination? To facilitate the provision of information, education and understanding about different religions with the purpose of enhancing religious harmony. To encourage cooperation through statement and other activities against racism as one means of publicity applying the humanitarian principles of social justice and care for the rights of individuals and groups from different cultural, religious and ethnic backgrounds. To promote multiculturalism as a catalyst of social cohesion and harmony. To promote respect for the individuality of all religious groups. To join others from time to time and as required bringing influence to beer to ensure thatSHRD continues to assist those fleecing from war, racial and religious intolerance and persecution. To work for meeting of minds and hearts belonging to all any religion or sect, which are the natural products of understanding? And, which are the pre-requisite for any kind of co-operation, this is, a genuine co-operation and having laid the foundation (appreciation) for genuine co-operation, let us now raise the pillars to build the structure of a genuine co-operation, not only multi religious, but multi-gender, multi-national, multi on all levels. To infiltrate most of our moderate religious groups. At the grassroots they are no longer as solid, and as moderate as they used to be. It is unfortunate that the elites of these groups choose to remain silent, in fear of losing support from them. To promote loyalty, towards nation, towards profession, towards fellow citizens, and towards the entire world family. It is greed that makes us disloyal towards our motherland. And, if we are disloyal towards our motherland, how can we be loyal towards the world family? To work hard, this is equally important, truthfulness, loyalty, and skillfulness may come to nothing without hard work. To seek and share relevant information about and seek collaboration with appropriate national and international organizations with similar aims and objectives. To ensure the integrity of this process we make opportunities for all participants to shair their beliefs, describe their religious and spiritual practices and express their questions, doubts and dilemmas. To sensitize target communities about their collective problems and to encourage them for participatory self help development. To standardize and promote indigenous methods and low cost technology in development projects of marginalized communities. To identify and incorporate gender issues and concerns in participatory social development work of target communities. To rise generates and /or collect funds through profit, earning, contributions and/or donations for the promotion of the aims and objects of the trust. Interfaith Harmony/peace building and respect of all religions in Pakistan. 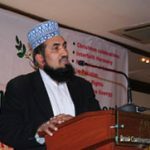 SHRD has arranged many seminars and mega events to promote interfaith Harmony peace building and to respect all religions in Pakistan and provoke tolerance between communities to bring peace in Pakistan and to maintain better picture of Pakistan in front rest of the world. 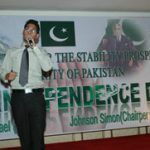 Current situation of Pakistan has does not allow to present better picture of Pakistan in front of rest world because, we are not focusing tolerance even in our daily life we always put our utmost efforts to get first position in negative activities we are running to get more resources for our home and families but we are even not focusing our beloved country. Some external powers are using our internal man power to build noise around the Pakistan by manipulating their monopolies in result of that Pakistan is at fair since couple of years most of our country men of Pakistan are out of practice to tolerate each other and we are not focusing to respect all religions in Pakistan. 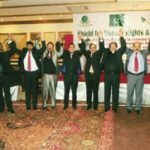 SHRD has had keeping in view raising our voice to promote interfaith harmony, peace building and respect all religions in Pakistan. 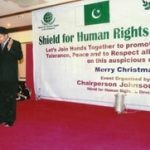 SHRD has organized different mega events with the support of UK Christian organization and gathered guests from every school of thought and people related to different religious at one point to promote tolerance, peace building and interfaith harmony which is urging of a time in Pakistan.